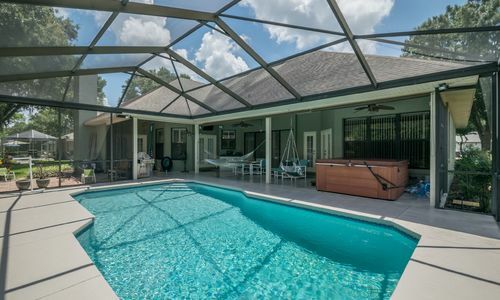 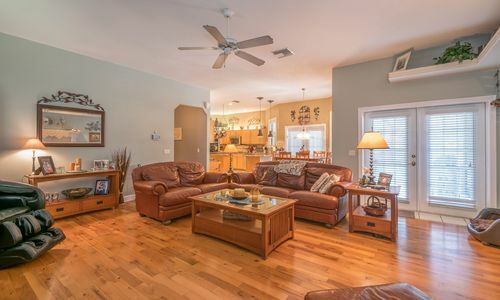 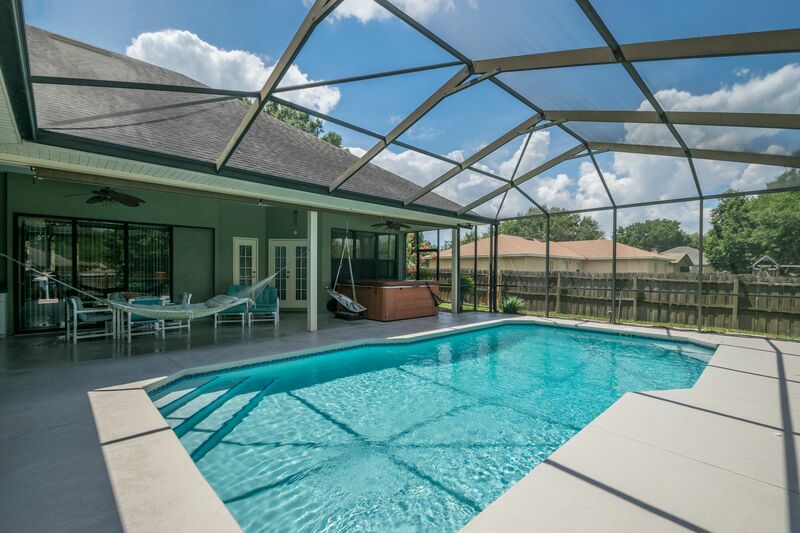 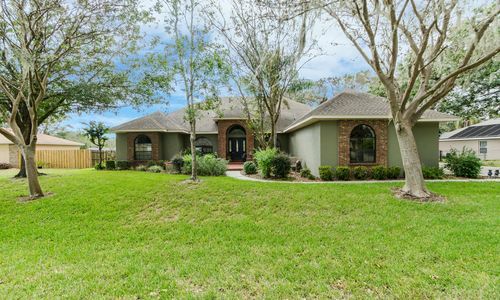 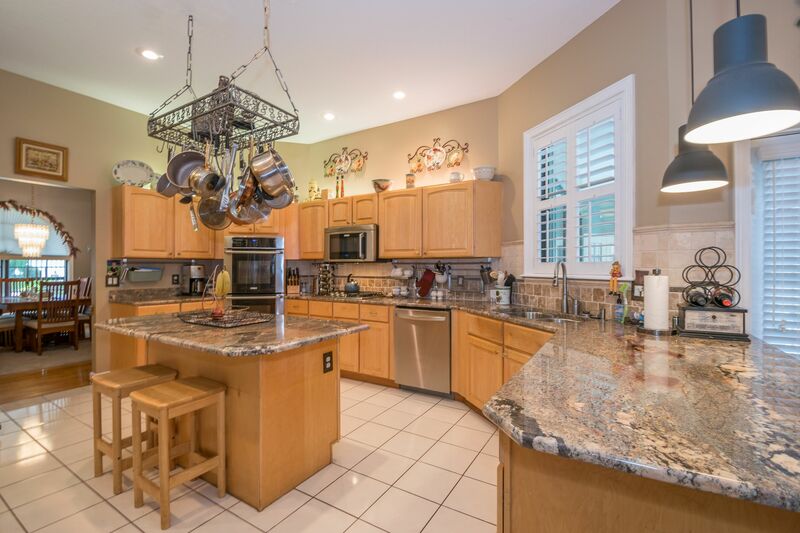 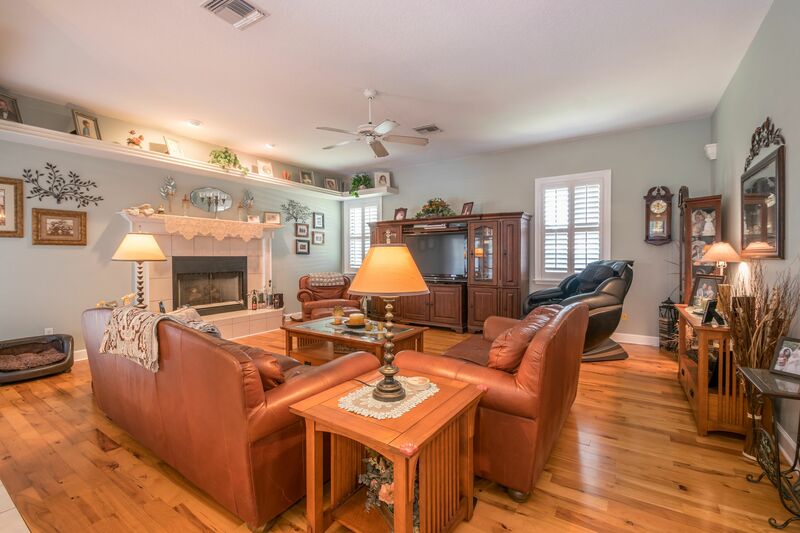 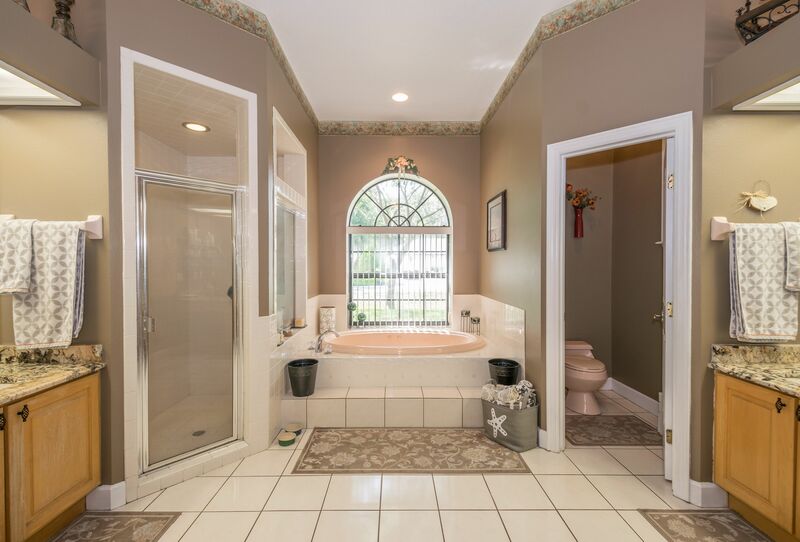 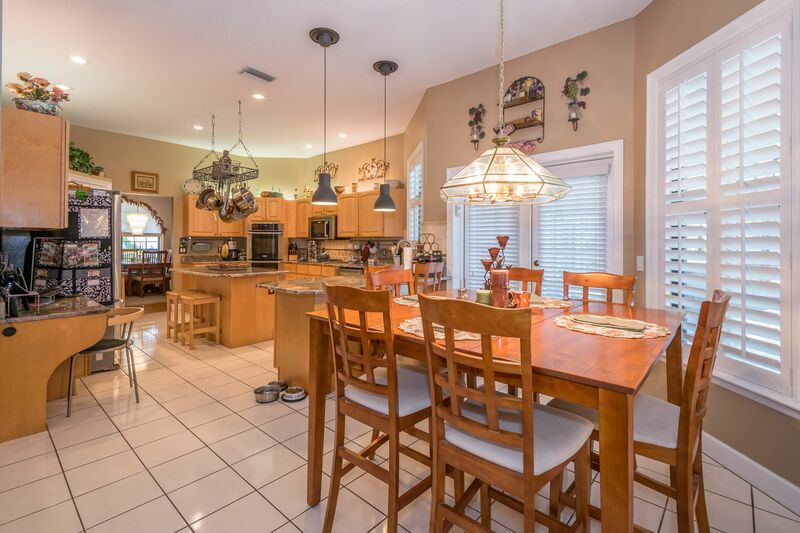 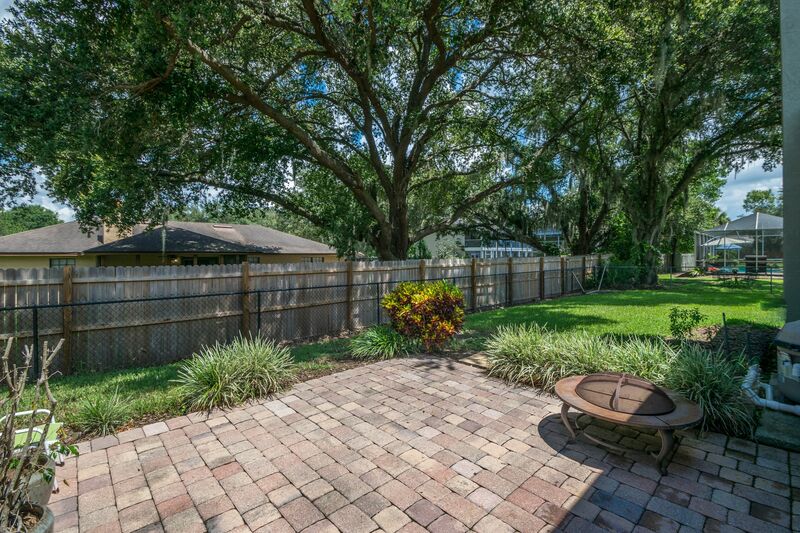 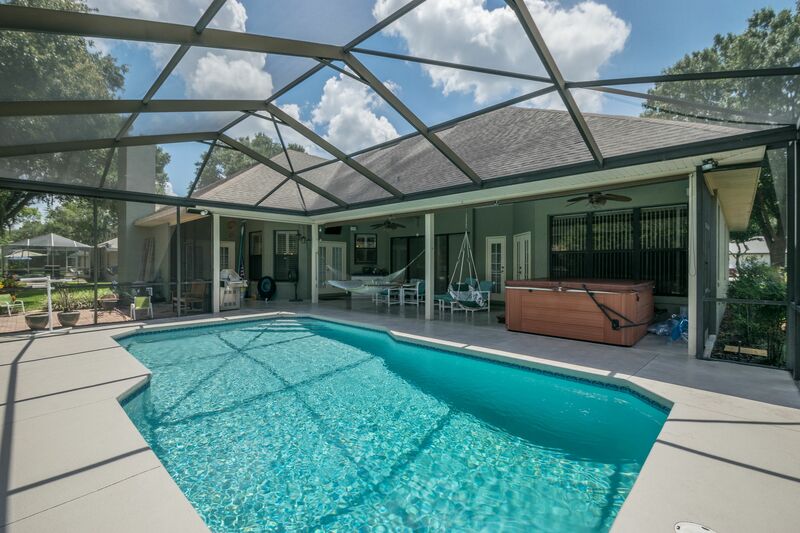 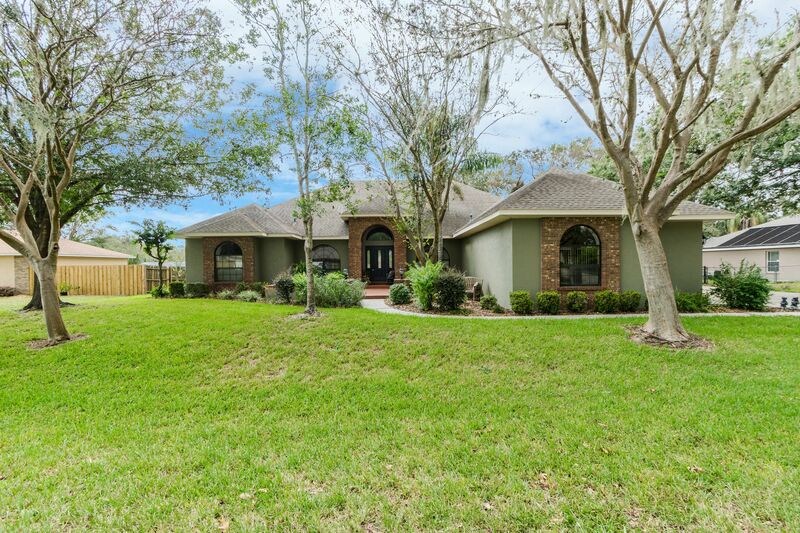 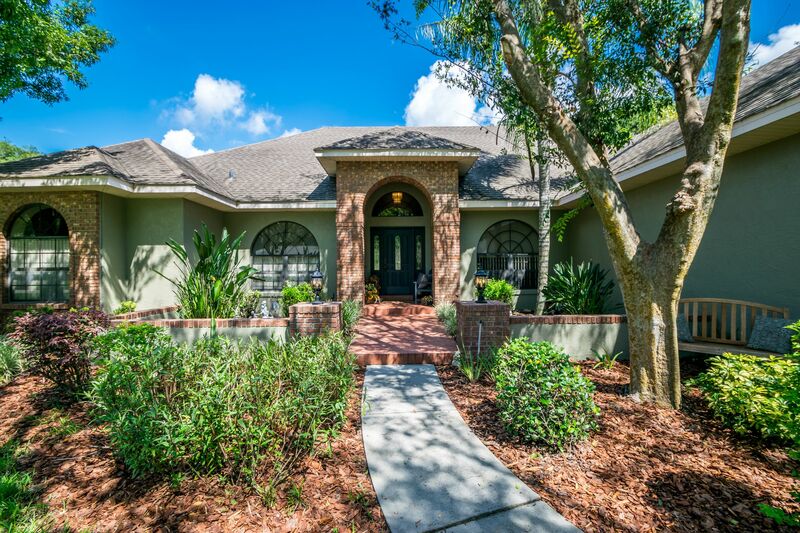 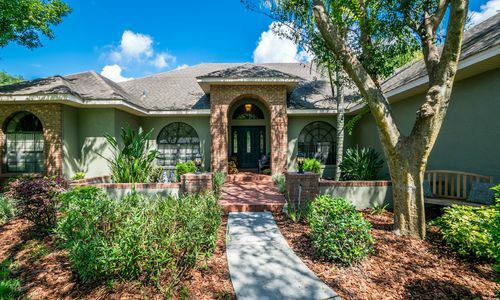 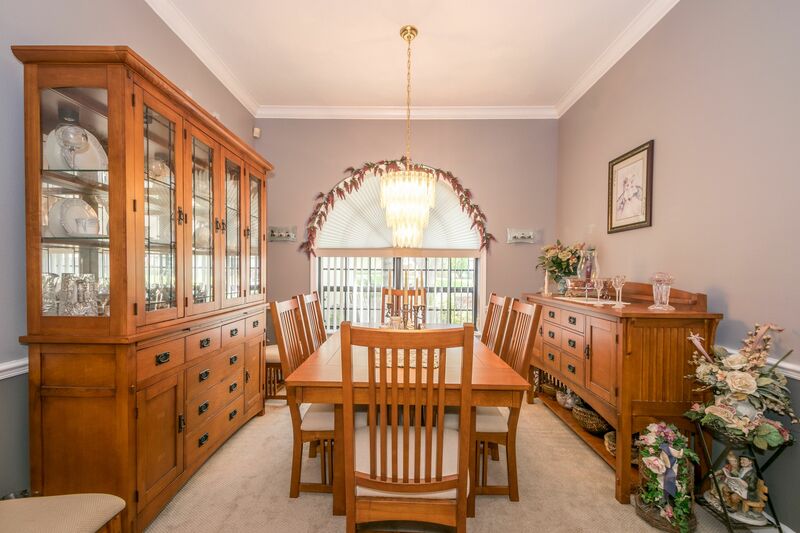 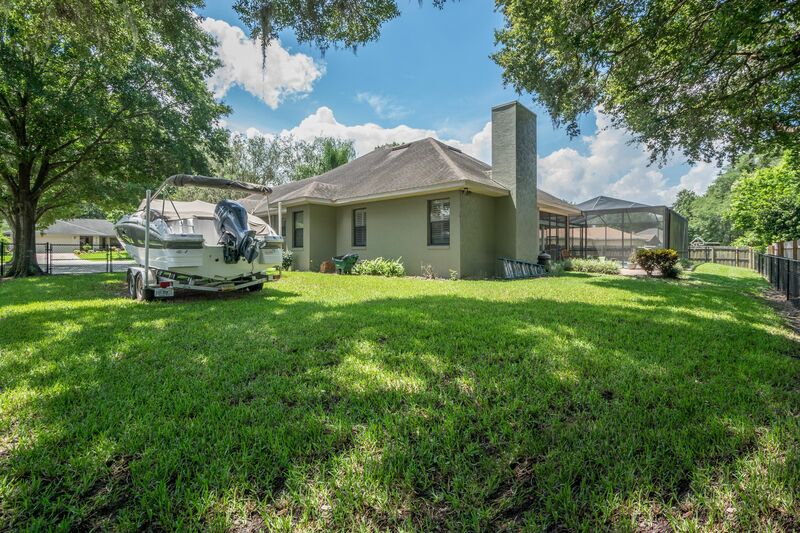 GORGEOUS 4BD/3BA REMODELED POOL HOME WITH OVER 2,800 SQUARE FOOT OF LIVING AREA AND JUST MINUTES TO THE POLK PARKWAY! 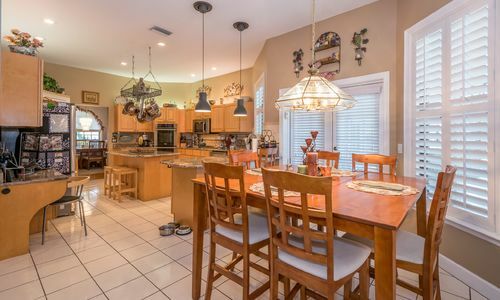 This residence offers a desirable floor plan featuring formal living and dining areas, a large family room, split bedroom plan, dinette off the kitchen, inside laundry and an oversized 2 car garage. 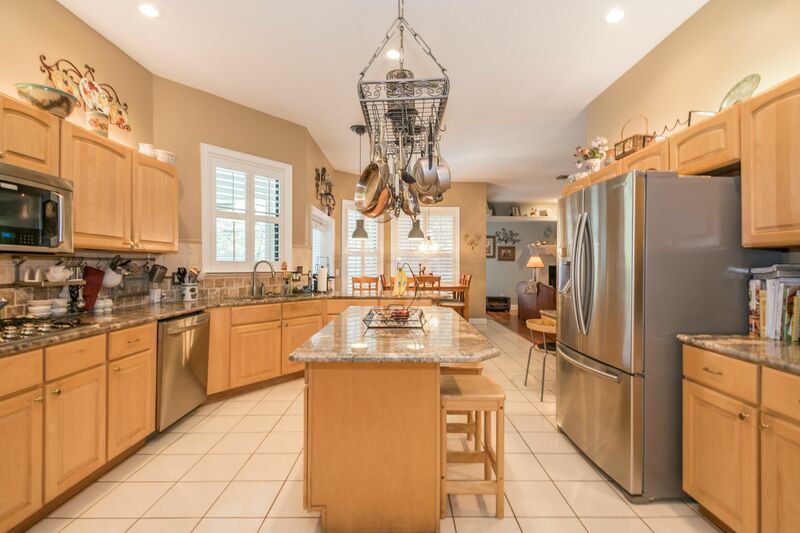 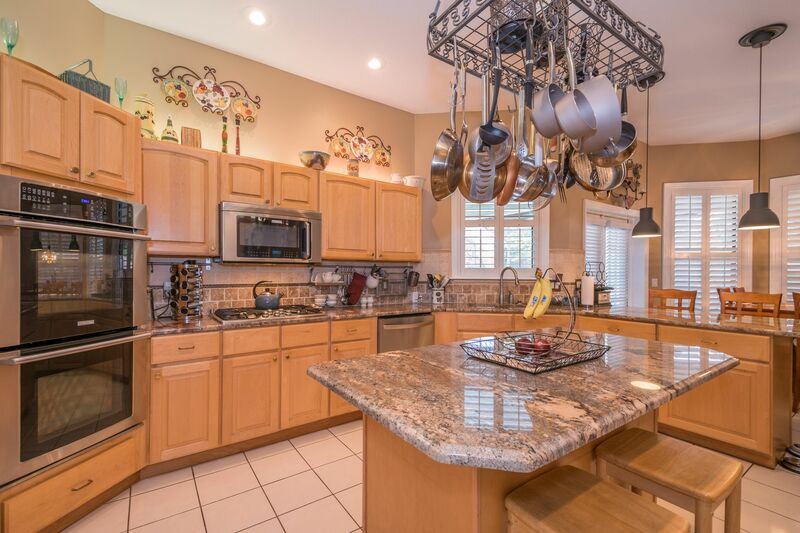 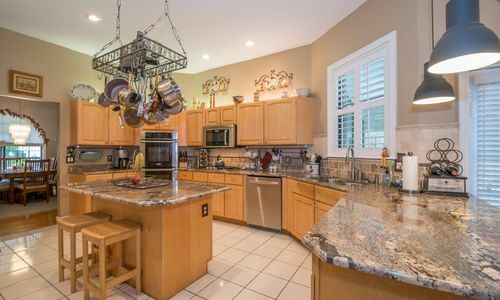 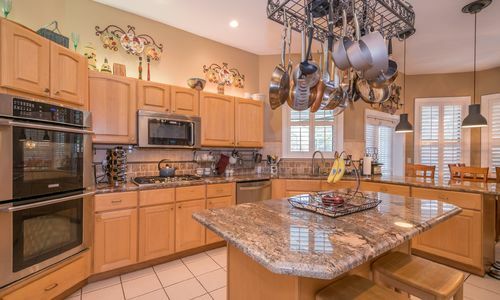 The kitchen is the heart of this home featuring exotic granite counters, an island, beautiful wood cabinetry, top of the line stainless steel appliances including double ovens, breakfast bar and built-in desk. 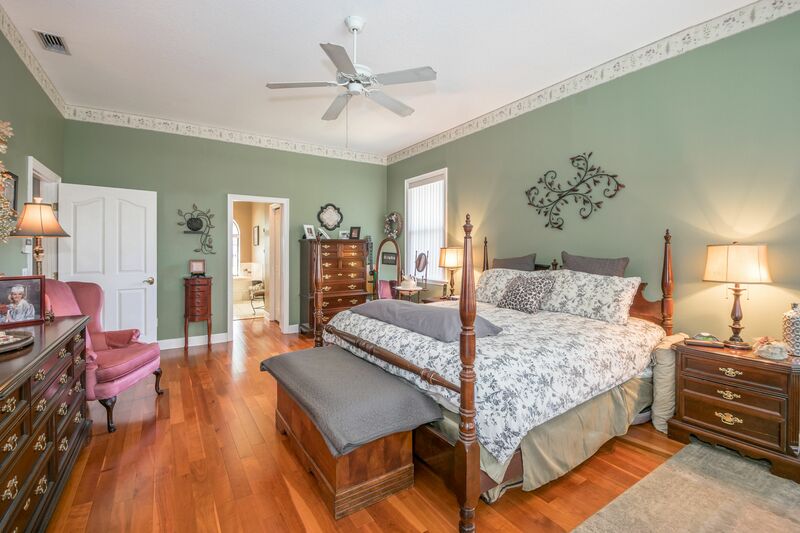 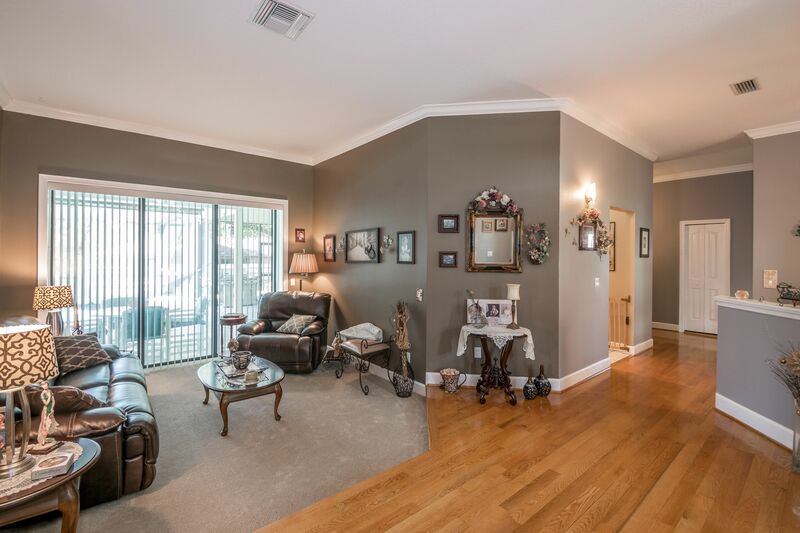 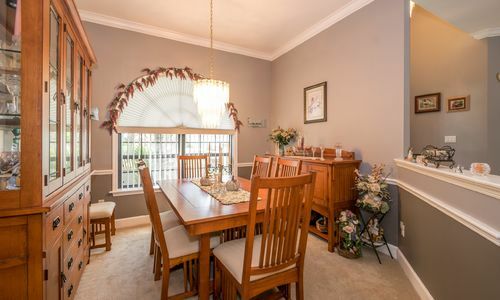 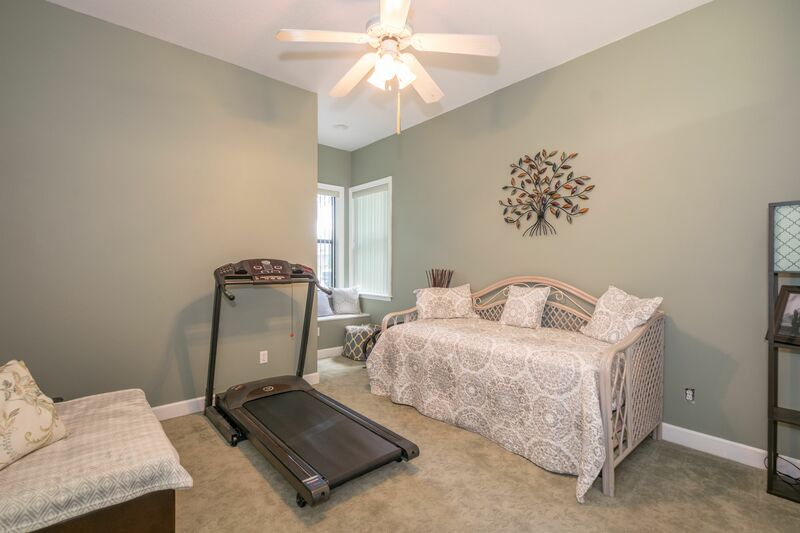 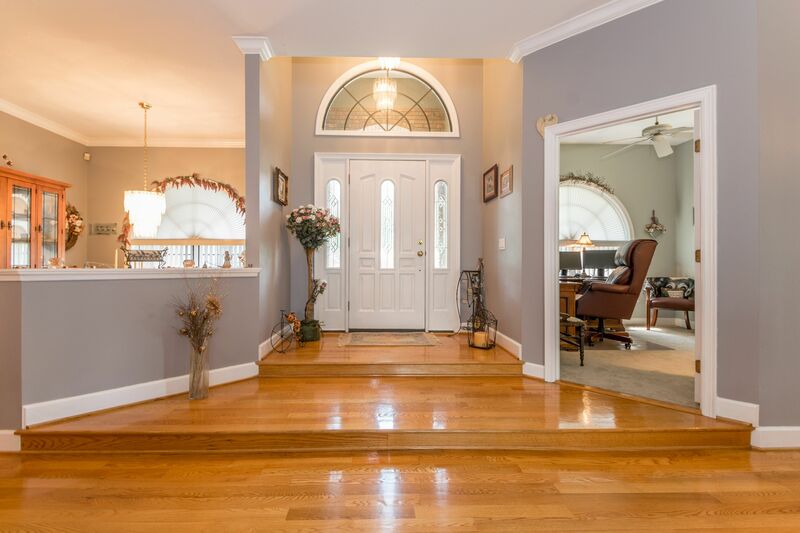 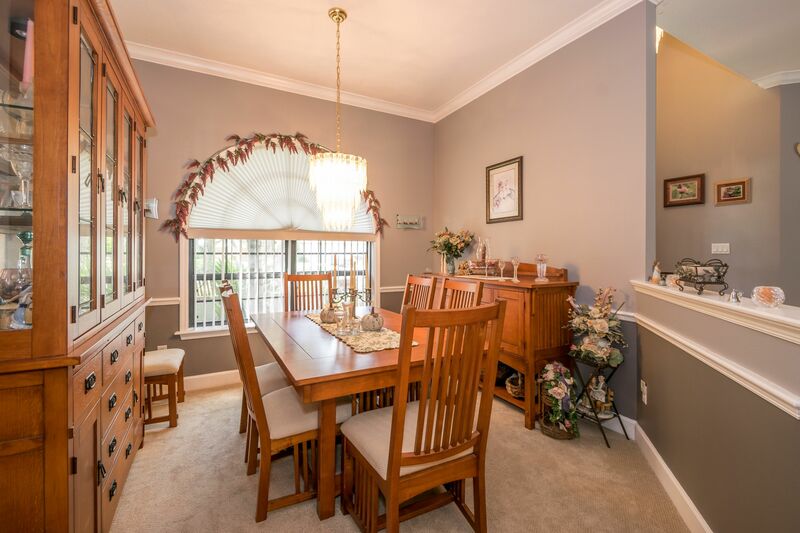 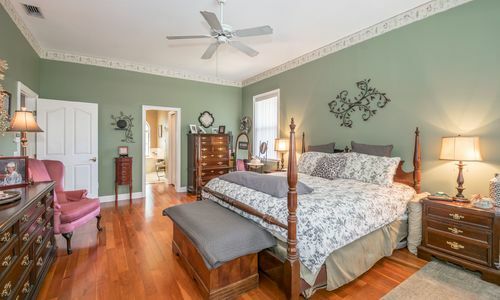 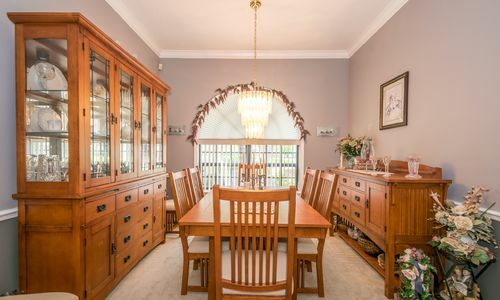 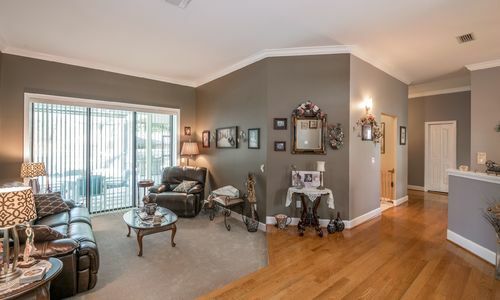 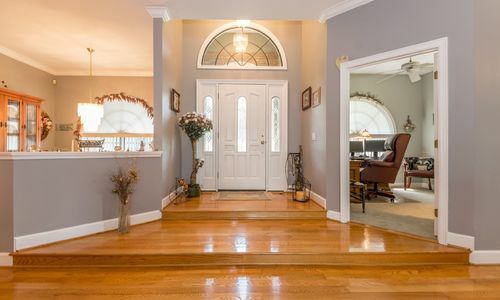 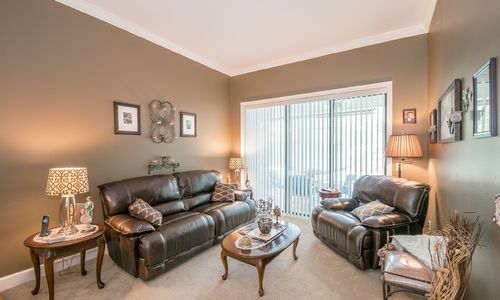 The formal areas feature brand new carpet and crown molding. 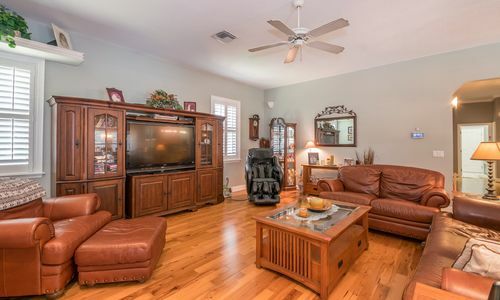 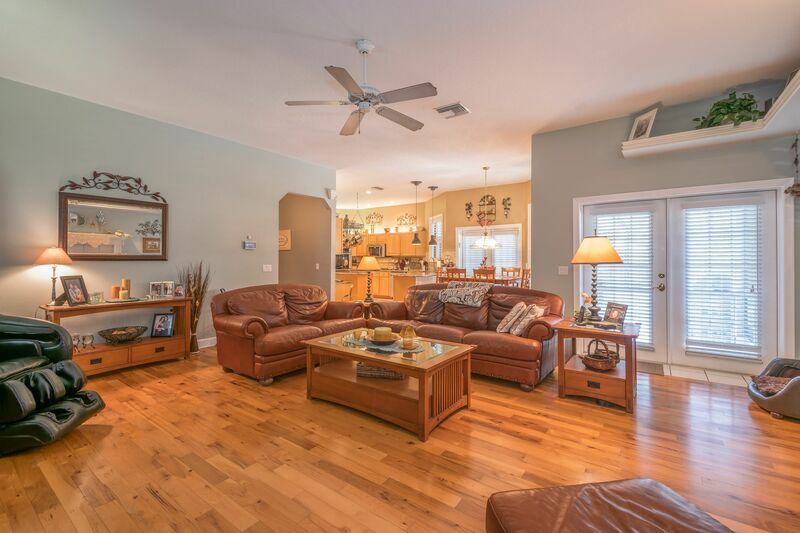 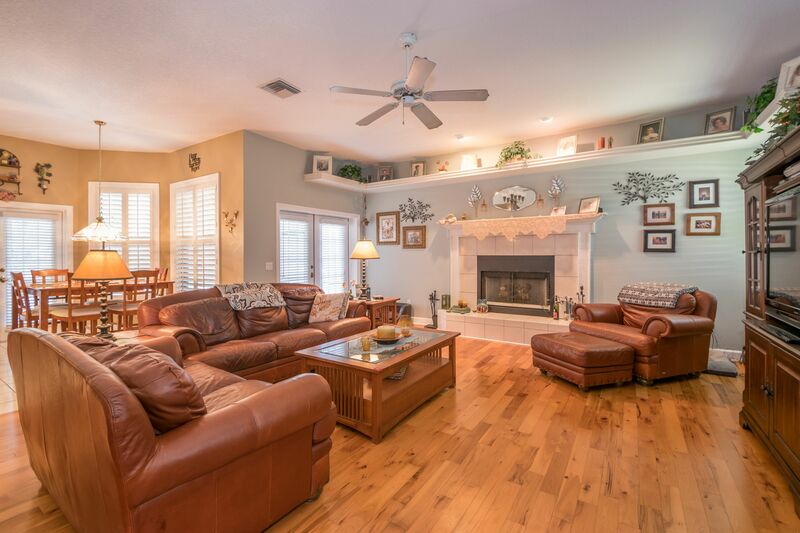 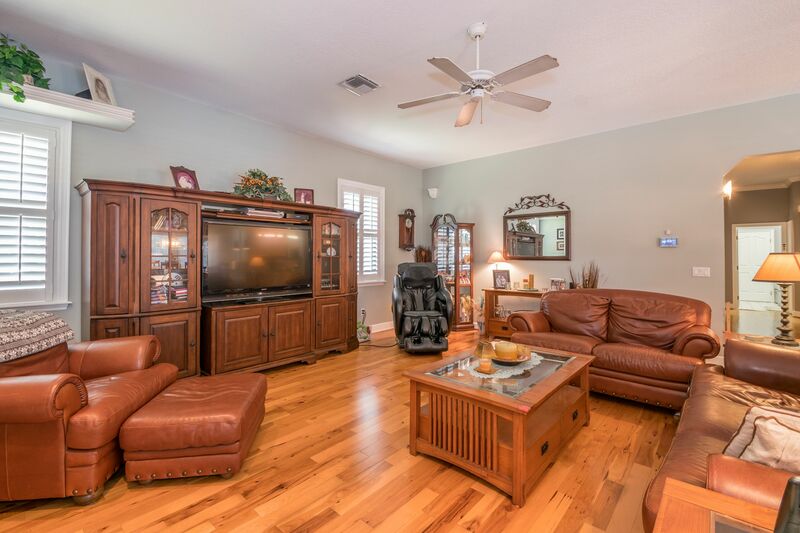 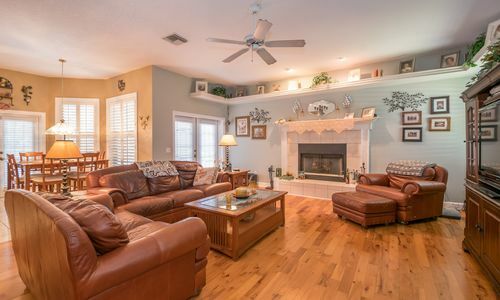 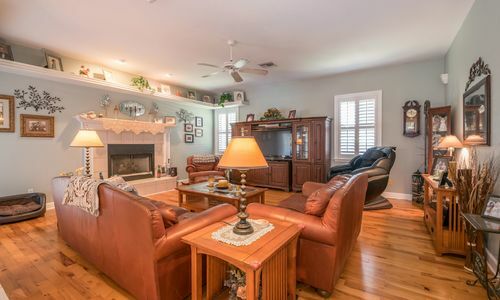 Spacious family room has wood flooring, a gas fireplace, plantation shutters and pool access. 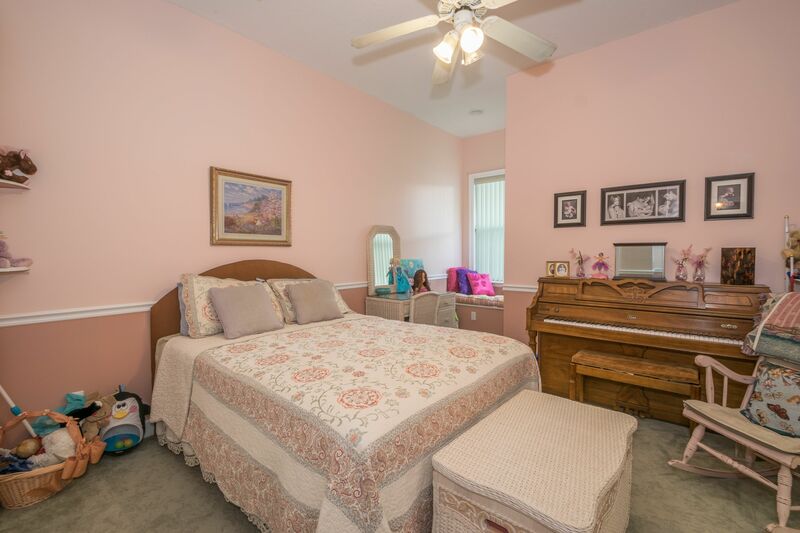 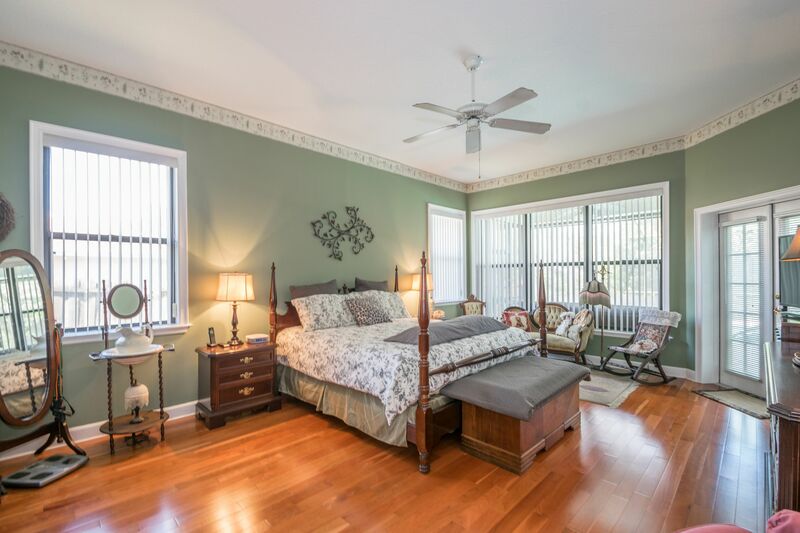 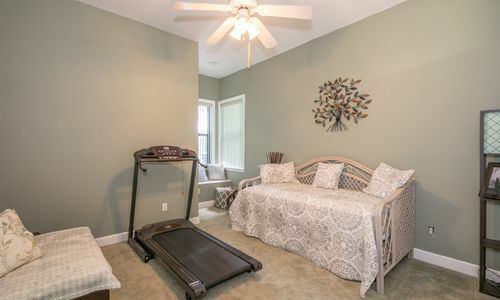 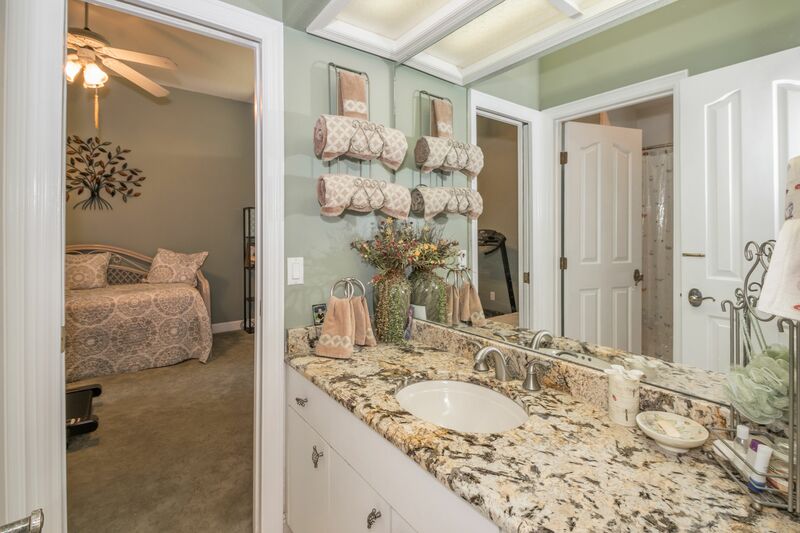 Master suite is a large 15×21 and boasts wood floors, his and her walk-in closets, French doors to the pool and a lovely master bath with jetted tub, walk-in shower and dual vanities with granite counters. 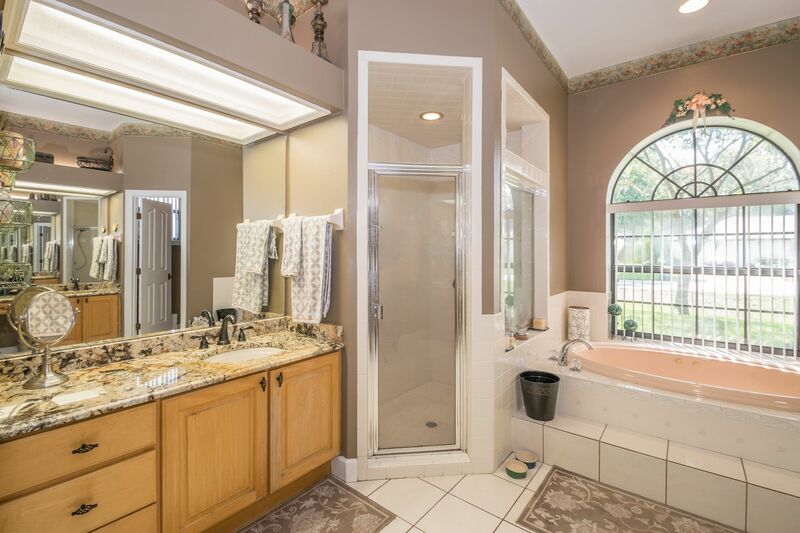 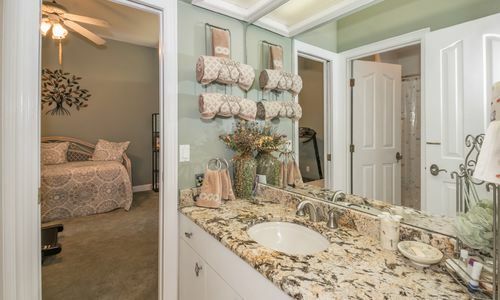 Second and third bedrooms share a Jack-n-Jill bath with a granite counter. 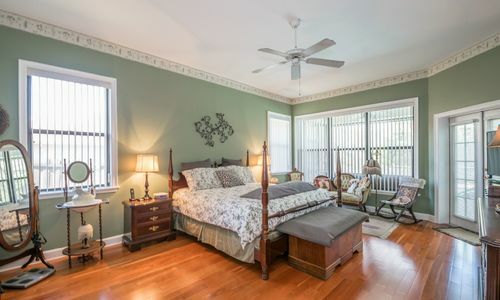 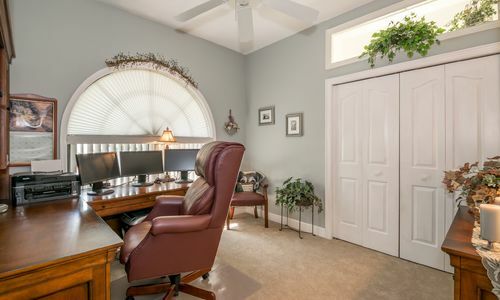 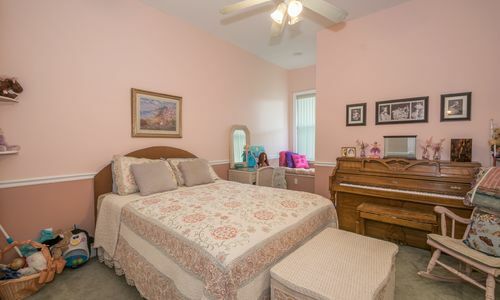 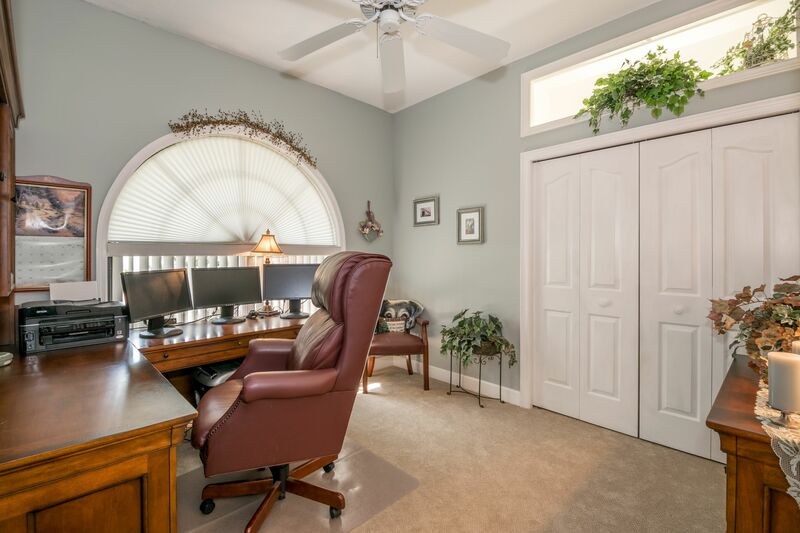 The 4th bedroom offers new carpet and currently serves as an office. 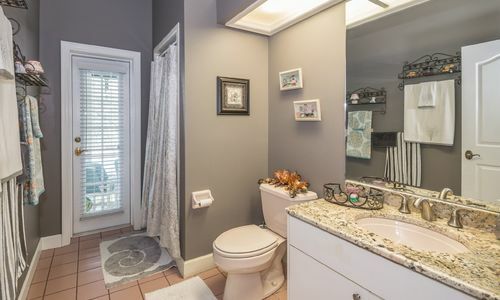 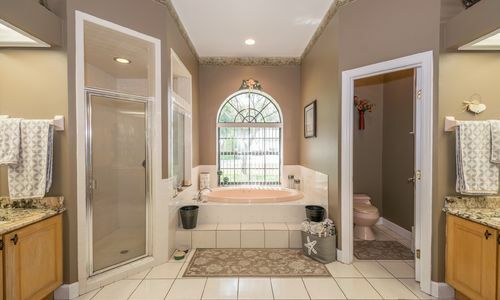 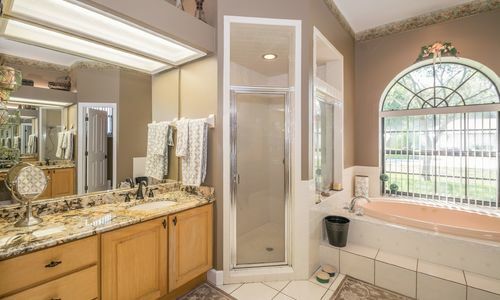 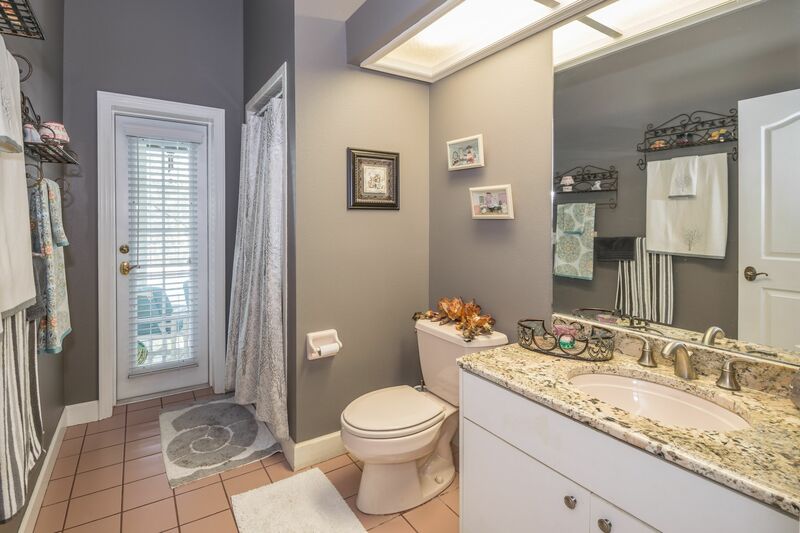 Third bath is a pool bath and also offers granite. 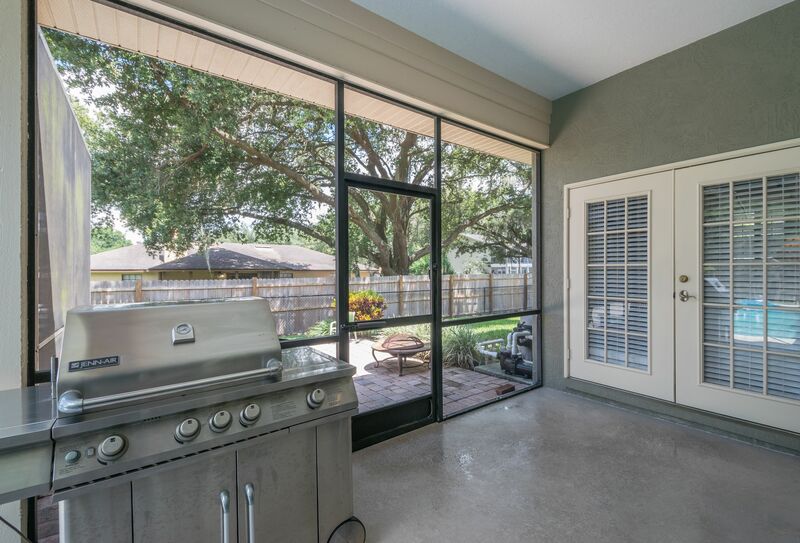 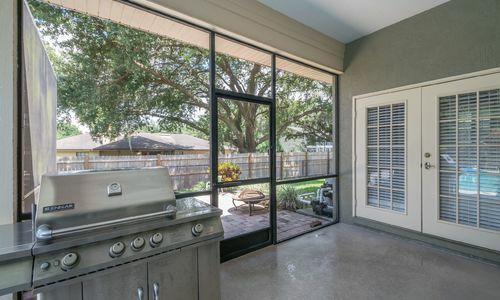 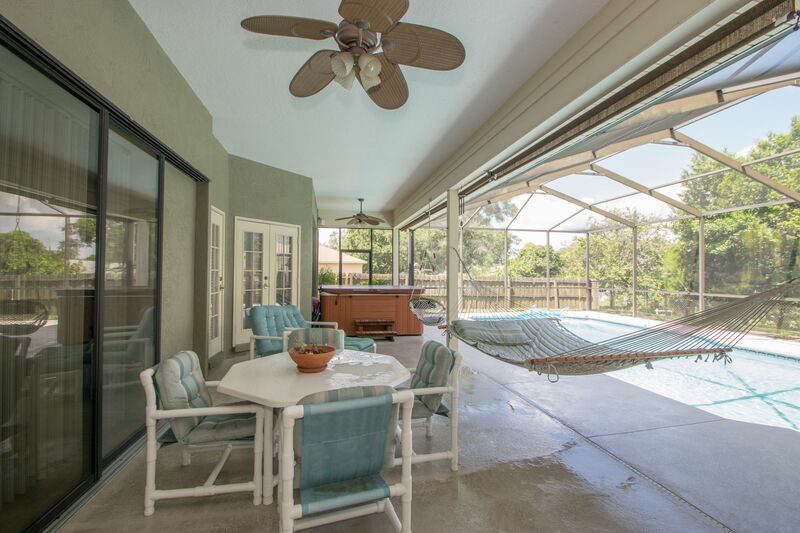 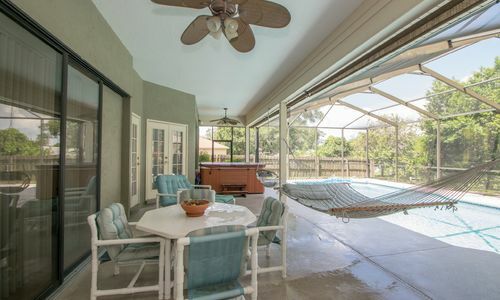 Outdoors features a covered lanai with a screen enclosed (recently resurfaced) swimming pool with a brand new pool pump. 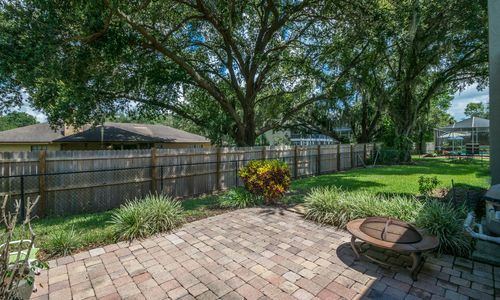 Lush 1/3 acre lot with fenced backyard, room to park a boat and side entry oversized 2 car garage. 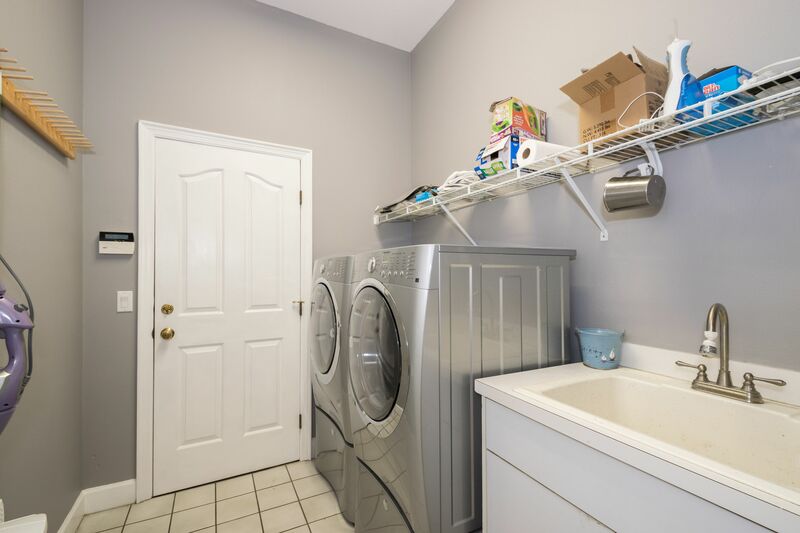 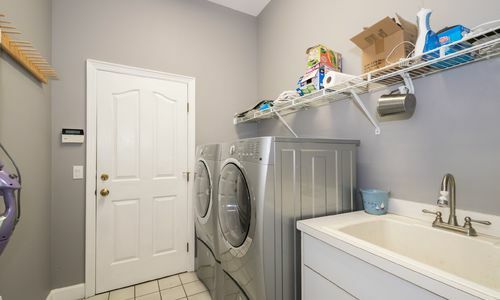 Other features include; security system, attic storage, Trane air conditioner approximately 6 years old, new roof in 2004/2005, and re-plumbed approximately 8 years ago. 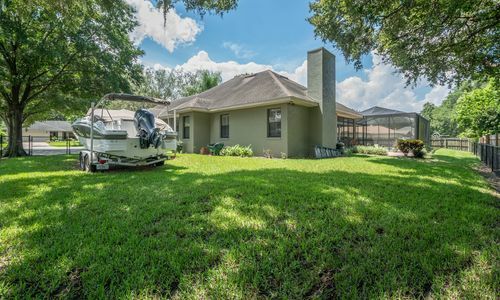  Conveniently located between Tampa and Orlando!